Nat here, I just thought I’d stop by the blog and do a little heart to heart post. It’s 1:52am on Thursday morning. I’m writing this whilst the thought is fresh in my mind. Armed with an Ovaltine Hot Chocolate embracing the early hours of the morning – some find it strange, but it’s my optimum working time and most uninterrupted creative period and to be honest when you work with clients all over the world. You adapt to difference in timing. I’ve been in business for 10 years and I’ve worked with 100s of business owners to improve and grow their businesses over this time. 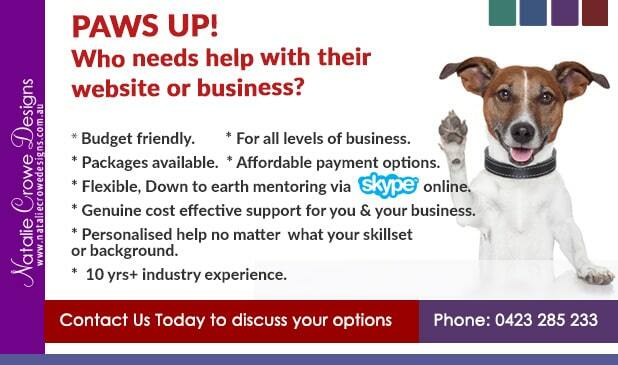 I have worked with all types of businesses, all types of business owners and all types knowledge and experience. From business owners who have absolutely no tech experience, through to those who are competent, and all the way back to the experts who just don’t have time to work on their websites and grow their presence. I spend a great deal of my time working with and mentoring / training individuals on how to get the most out of their websites. 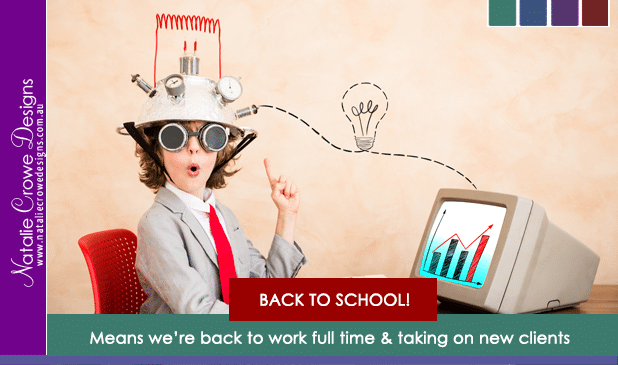 How to get their target market’s attention and to cope with those changes. Change is inevitable but accepting it is another story… I help my clients cope with change. Some days I’ll work with corporate clients… it’s very structured and formal in how we operate.. Whilst my style of support doesn’t change, it’s shaped more specifically around collared shirts, procedures and structure. 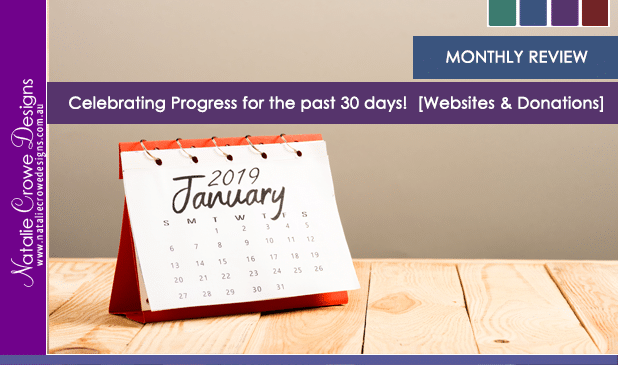 Other days I’ll have Skype mentoring with clients who grab a cuppa and have chat around what’s happening for them… what goals are they trying to achieve and how we can use the technology in front of them to grow and strengthen their business. My line of work is SO diverse… Websites are great… I love being able to build infrastructure behind a business. The ins and outs of how it all comes together and how much of an impact it makes… not only for the client, for their family, their clients and the community. I LOVE the fact that I AM able to offer that Down To Earth connection and support myself and my family whilst I do something I love.. I LOVE the diversity, I LOVE how I’m able to work with so many varied experiences. That looking past all of the stereotypical focus on presentation and “this is what business looks like”… You must talk this way, look this way, act this way to be socially accepted. Which is WRONG…. When it boils down to it… Most home based businesses or business start-ups began from humble beginnings..
Each business owner at one point or another said ENOUGH is ENOUGH…. taking their own story, their own experiences and their own gifts to impart in the own hands and doing something about it. However they ARE wanting genuine support, guidance and someone to hear them out, hold the space and help them work through their obstacles.. I get it… I started my business too from that place. I know what it’s like to have to find means to support your family, keep food on the table and roof over your head. I too got to the point where I said ENOUGH is ENOUGH…. I get it that you’ve got big dreams, I understand you have a whole lot of responsibility and I’m all to familiar with the idea that you have very little time carved out to dedicate to you and your goals…. You’re a Stay at home parent – with desires to improve your lifestyle. You’ve got a business idea but not sure how to implement it. You’ve got heavy responsibilities from family, child wrangling &/or love ones. You’re currently only on a single income stream and struggling. You’re starting from scratch and wanting help to lay solid foundations. You’re unhappy with the way things currently are in your life and want some help moving forward. .
You’re feeling stuck, you’ve got solid ideas of what you want but not sure how to get there. Struggling to make ends meet day in and day out. Have an established business but want more from that business. Not supported by those around you and need a sounding board. 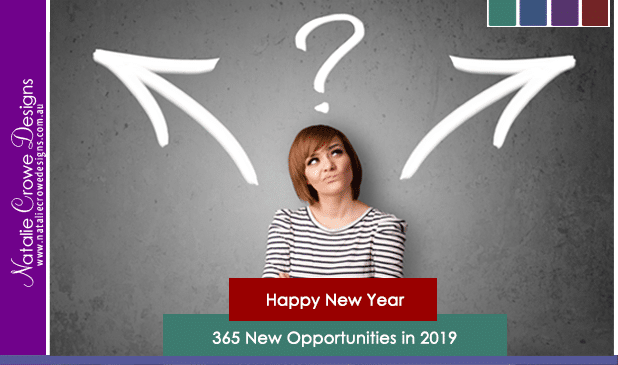 Goals and ambitions for your business and not sure where to start. At some point or another in the last decade of being in business I’ve been there too, as have many of my existing clients. We’ve together, overcome many of those obstacles and moved towards a much happier, healthier and abundance outcome and I couldn’t imagine my life and my work any other way. 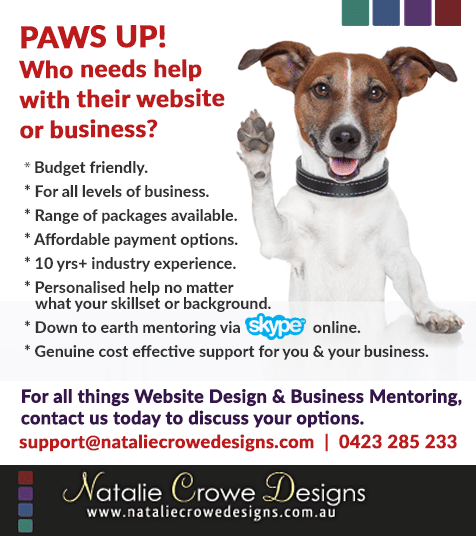 Paws Up… Who needs help with their website or business?